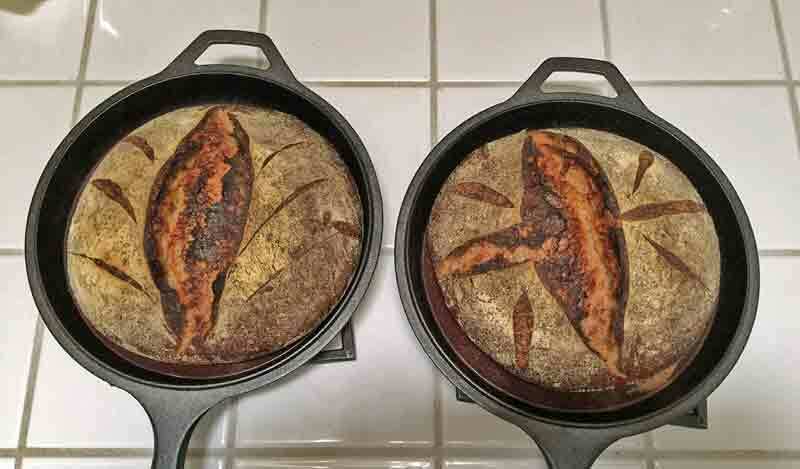 Hi David, very inspiring series with such crust color, crumb and scoring! Thanks for detailing all the process that you follow to come up with these beauties. This one has to be tasty for sure. but I think I'd like this time's just a bit better. There is a higher spelt to rye ratio, which makes it more attractive to me. Not only do I prefer the taste of spelt, but I also find the experience of working with it much more enjoyable. The way your bread is baked: bold and dark, always reminds me of the artisan sourdough bread that shows up in high-end bakeries :) With over 40% whole grain, it must be really flavourful, unlike some beautiful looking yet rather boring tasting bread. Some people like their bread sweet but I like mine with at least some tang. Yours sounds perfect to me. 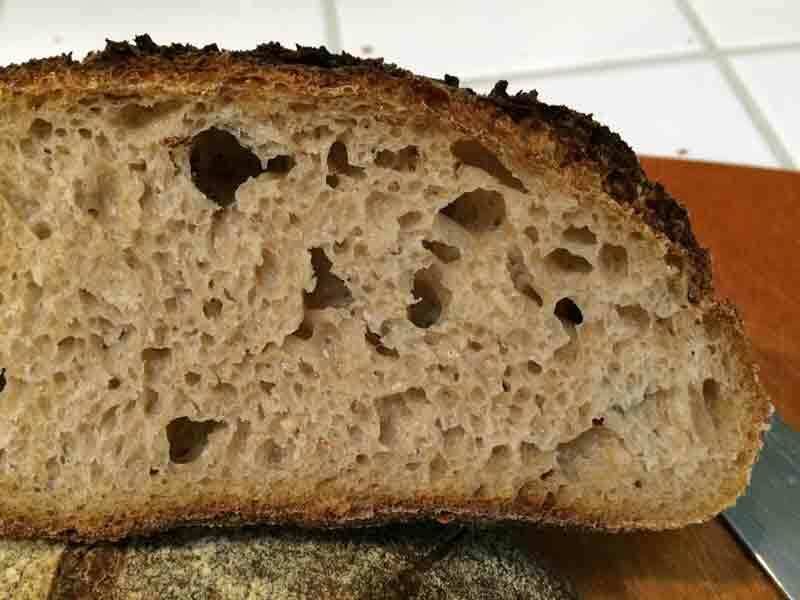 After reading your process and the length of time fermenting I was amazed at the crumb and how much they still rose . So many variables that " watch the dough " is certainly the key. Love how boldly baked these ones are. All of your efforts were rewarded with beautiful and tasty loaves. @ Caroline. I don't think of this as having that long a fermentation, unless you are counting the cold retardation. I think one of the "advanced" shaping skills from which these loaves benefit is pre-shaping and shaping tightly, without excessive de-gassing. It's especially important with a relatively high-hydration, soft, puffy dough like this. I clearly favor a "bold bake." It provides the crunchy and very flavorful crust I love. Excellent crumb and crust. This one must have tasted great. so I'll just use yours: "Oh, my! This is the best of the current series. The crust is crunchy." I love that last transversal shot with that great crust - you probably know that I live for a dark thick crust. My dentist loves me for it! Are the dutch ovens that are featured here made by Lodge? Also what is the size of the ovens please. I have a Lodge double dutch oven that is a 3.2 quart size and I sometimes think that it is not deep enough. I worry that the lack of height may be keeping my breads from reaching maximum rise. Thank you. Your contributions here are very helpful. The DO's I use are Lodge "Combo Cookers." I believe they are 4 quart size. I find them just right in size for my ± 1 Kg loaves.